We offer cost-effective, dependable Blended BGP IP transit solutions with speed and bandwidth options tailored to your needs at our carrier-neutral Boston colocation data center and Dallas colocation data center across the US. Our blended BGP IP Transit services are offered out of all our points of presence. What is Blended BGP IP Transit? Border Gateway Protocol, or BGP, is a protocol used to manage how data is routed across the internet. Blended BGP IP transit allows the network administrator to set rules and policies for making routing decisions. This gives routers the ability to quickly adapt and find alternative connections if the default path is unavailable, improving connectivity speeds and lessening downtime. Implementing our Blended BGP IP transit solutions has many benefits, including the use of multiple internet service providers (ISP) at the same time, peering with other networks, and isolation from problems in ISP networks. If, when using multiple ISPs, one ISP goes down, the BGP will automatically reroute traffic over another ISP. To provide robust and consistent internet connectivity, LightWave Networks offers a blended bandwidth product that takes advantage of the combined upstream connectivity of multiple internet service providers across a fully managed and monitored BGP routing platform. 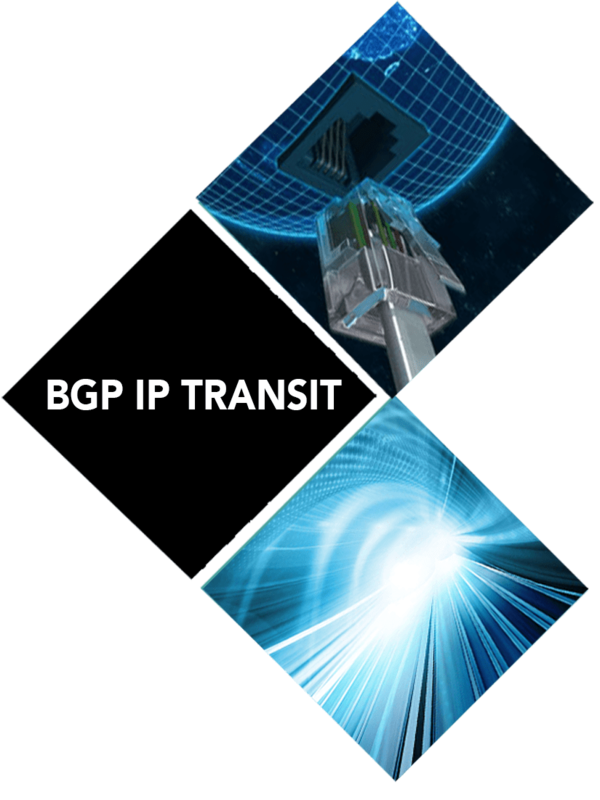 Blended BGP IP transit provides an incredibly reliable internet connection preventing any potential access interruptions which could obstruct business operations. At LightWave Networks, Blended BGP IP transit is available on 1 Gbps and 10 Gbps ports, with bandwidth commitments as low as 10 Mbps. These options are available through our Boston colocation data center, or our Dallas colocation data center. For companies leveraging cloud computing, as a rule of thumb, you need roughly 1.5Mbps per employee. For example, a 50-user company utilizing Salesforce and Office 365 cloud software should have an aggregate of 75Mbps of internet bandwidth. Companies whose employees who use the Internet for email and web browsing may need much less. LightWave Networks will assist you in choosing the Blended BGP IP transit plan best suited to your company! Our transit solutions maintain high standards to deliver the best end-user results. Let us simplify your network management today – plans start at $50 per month. Contact us to get started!